Sculptor Vivek Vijay, has made an idol of Ganesha using mercury that is tough to bind. Mercury–a liquid metal–is dangerous and challenging to work with. But, danger has always been an attraction for 33-year-old Vivek Vijay. 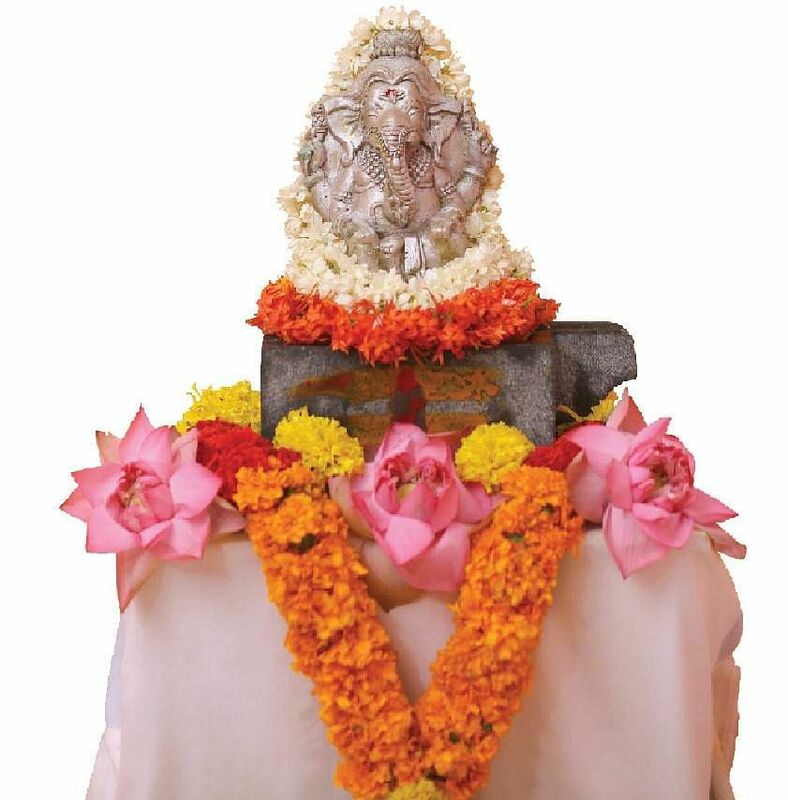 It is this allurement that led him to create a beautiful and unique idol of Ganpati. Sri Sri Ravi Shankar’s ashram had commissioned him to make the idol for the spiritual leader’s 60th birthday celebrations sometime ago. “I love challenges and this was a big one. And it was the thing I had been pursuing relentlessly. So I took it up,” says the Thiruvananthapuram-based artist. But Vijay’s journey from being a 3D animator in Mollywood movies to a sculptor, who dabbled with poisonous metals, was a circuitous one. He tried out various things and even spent a few years doing meditation with sanyasis. It was during one such sojourn that he came to know about a branch of ancient science called rasakala (rasa: mercury, and kala: art). “I was pursuing a research on sculptures, especially those made using different metals and the nine poisons (navapashanam), at Palani in Tamil Nadu. As the research proceeded, it triggered in me an urge to uncover the mystical secrets of rasakala,” says Vijay. The zeal to learn more about the art of making sculptures using mercury took him on a journey in search of rasa siddhars (alchemy using mercury) in different parts of southern India. But nobody could give him a complete picture. The science involved in alchemy is complex. “However, the sadhus and sanyasis of yore had overcome the difficulty. They achieved the impossible,” he says. Vivek tried out various processes. “I set out to conquer the liquid metal. I wanted it in its pure state, not amalgamated with other metals,” he said. And he achieved what he wanted. Before he started making the statue, Vivek tried his hand at rasamani (mercury beads). “The lada vaidyar (practitioner of indigenous remedies) prescribes rasamani as a cure for many ailments. But the beads available today are fake,” he says. After achieving success with beads he set out to make the idol. “It took me two years to make this idol. I didn’t get it right initially. Even after multiple attempts, I was unable to bind mercury. Finally, I decided to take a break and meditated to get my focus back,” says the artist. The trick lies in binding the liquid metal, which is difficult. “And if the metal is not bound it cannot be moulded,” says Vijay, who practices the Siddha Avadhuta form of alchemy. Highlighting the uniqueness of the idol, Vijay says that this statue of Lord Ganesha is in Yoganidra posture. He claims that the 25 kg idol is one of its kind because of its pose and also the metal used in its making. Asked whether precautions are taken while handling such dangerous metal, he laughs, “I’m used to it and so are my assistants. We are aware of the dangers involved in handling mercury, which is a high potent poison. They have been asked to take all precautions like wearing gloves.” Vijay has a long list of things-to-do in future. One of them is to make a large Shivalinga and instal it in Kanyakumari.